Are you happy with the design of your business cards? Most importantly, does it make it easier for people to contact you at their point of need? Or is it something that people throw in a waste bucket to save themselves the headache of contacting you. If you are not sure with any of the answers above, chances are, your cards are not doing the work that’s supposed to do, and you need a compelling business card that can answer all of the questions mentioned above. An effective business card gets you more leads, clients, and sales. That’s why you need to design a powerful and meaningful business card that not only sends the right message but makes it easier for clients/customers to contact you. So it becomes necessary for every business to create compelling business card either by hiring a professional graphic designer or by making use of free business card maker such as Designhill. 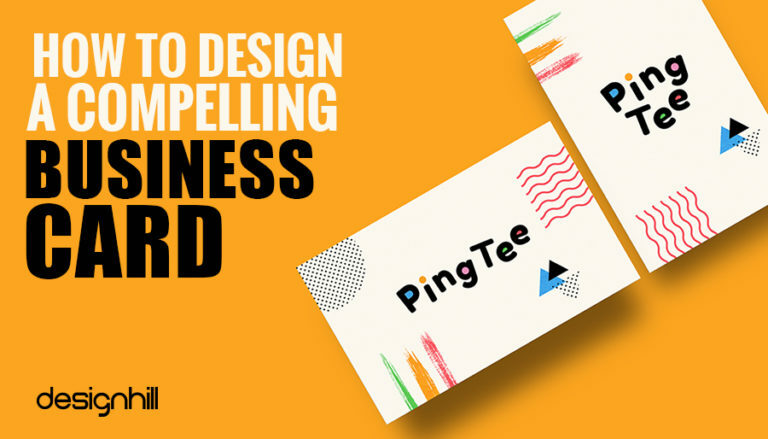 Here are tips to ponder while creating powerful business cards. If you follow them to the tee, you’ll have an incredible business card. It is perhaps the biggest mistake that most business owners commit. They consider their business cards are merely a piece of fancy paper and nothing else, which is not the case. In fact, a business card is a tool that makes it easier for clients to contact you at their point of need. Since it plays a pivotal role in establishing brand identity, designers must understand the clients before they start business card designing. That would be the only way of creating something that resonates with them. Business owners in almost every field are following the path. So, it’s essential to make your business cards which will appeal to your clients. If you can draw the attention of your clients or customers on your business cards, chances are they will keep it, share it, and even remember you when they need your service or products. For example, if you are a professional vet, designing your vet business card with a picture of your pet, a good illustration/cartoon of you and your pet will make pet owners and extreme animal lovers see you as an approachable person. Whether to put a picture or any wording on your business, you need to ask yourself —how will the clients/customers feel when they see your business cards? Whatever business you are into, the first step is to get an attractive business card by a professional graphic designer after understanding your client/customer/audience. Although ClickMatix doesn’t deal in business card design, its prime objective is to understand the customers better before it delivers any marketing materials. Looking for a business card? We have helped thousands of business owners from all around the world with their graphic design needs such as a logo design, business card design, social media posts, banner and much more. ‘Beauty is Power’! Have you ever heard of that quote by John Ray? The same thing applies to the design of your business card or logo design. A great business card design can win the hearts and minds of your customers/clients. Since a poorly designed business card can break your business, your design must be unique that can make you different from the competitors. Moreover, a great business card design is a reflection of several things about your business. For starters, it creates different perceptions and expectations your clients/customers may have about you. In most of the cases, a great business card design will signal the customers/clients that you have high-quality services or products. And, all these can be achieved by hiring graphic design services from a reputed firm. That’s why when designing a business card, you need to make sure that every detail from the font selection to letter-spacing, to logo placement and graphic illustration needs to send a unique statement that can assist you to stand out. The human being is a visual creature, that’s why you need to use the right color schemes to amplify your marketing. That said, whoever you hire to design your business card or create a logo, needs to understand color psychology in marketing. If you choose the wrong colors for your business cards or any other marketing material for your company, it may dampen your brand identity. Some studies conducted recently have shown that certain colors influence customers/clients to take action immediately. A recent study titled “impact of color on marketing’’ states that 90% of customers/clients make a purchase decision based on the color alone; no matter whether you’re selling a product or service. Another study also reveals the fact that color has a significant impact on consumers. The study titled “Exciting red and complimenting blue” confirmed that purchasing intent is influenced by colors. Now that you know the importance of color schemes, you should choose the right colors that will not only amplify your marketing but also make it easier for clients/customers to contact you. Embossing- A unique finishing technique that creates a three-dimensional relief to make some areas ‘pop out’. If you want to draw attention to specific areas of your business card, try embossing finishing. Letter pressing- It involves pushing the paper down while inking it resulting in engravement on specific areas of your business card. Foil stamping- For those looking for something shiny like a little foil, you can use foil stamping techniques on images or areas you want to draw attention. Foil stamping works both for images and text. Spot UV coating- It is the practice of creating a sheen and smooth texture on the business card. Spot UV coating only works in specific areas such as the logo, unique graphics or even lettering on your business cards. The key thing when using Spot UV coating is to be mindful on how it will affect certain areas of your business card. Use it on moderation. 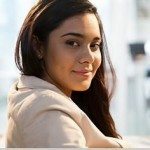 To create a stellar business card, you need the right talent; and for that, a reputed graphic design services provider should be contacted. A designer that understands the color psychology in marketing and creates a design that resonates with the audience can advise you on the best special finishing to consider. Before hiring a designer, it’s inevitable to have a quick look at the portfolio of the designer to see how they position their talent. Are they specialists or generalists? If you love what they have on the portfolio, then you can discuss your business card requirement with them. Although, there are many online tool available today using which you can create free business cards, especially when you’re a startup. You can save on the considerable amount of money in this way.